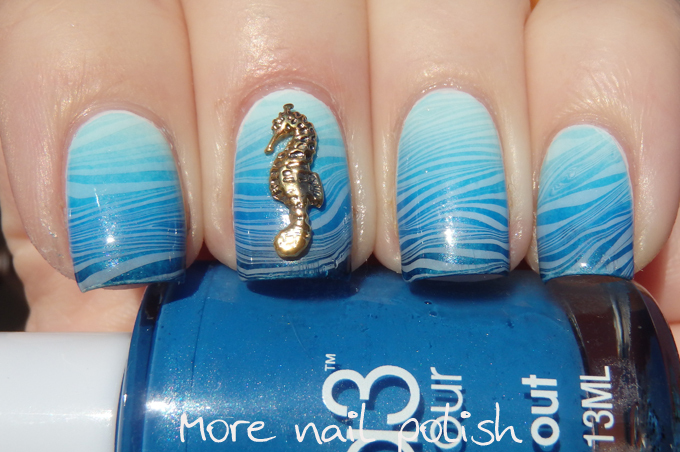 No, it's not water marble day yet, but this is one of my fall back mani's that I wore months ago that happened to fit perfectly with one of the 31 Day Challenge Prompts. 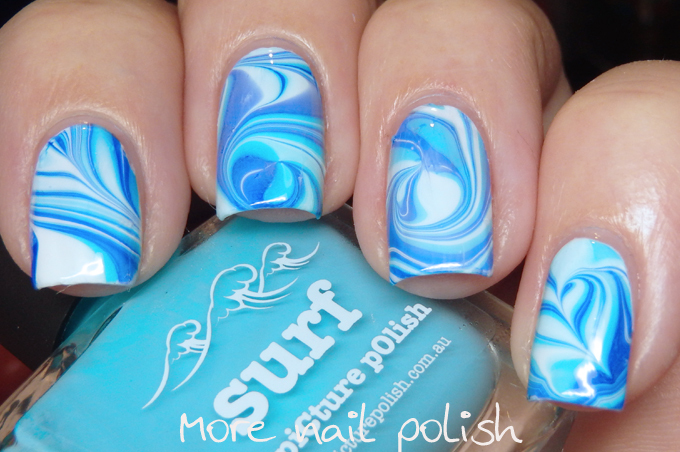 Way back in May, before Aussie Indie Con where I did my water marble demos and workshops, I did some practicing. 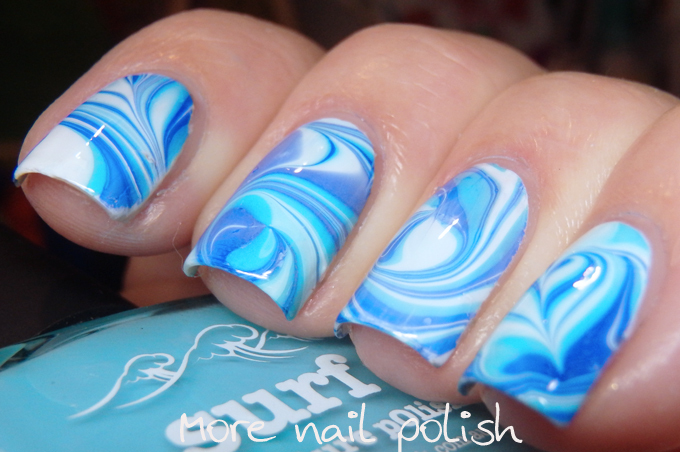 Would you believe this is the first time that I have ever done a free form water marble. That is, it's not the perfect zig zag lines, or flower pattern or star shape. This was just drawing random squiggles in the marble and taking what you get. As a slightly OCD personality, who loves organisation and order, having a random marble was difficult for me. But I tell you what, it sure got the comments from random strangers. 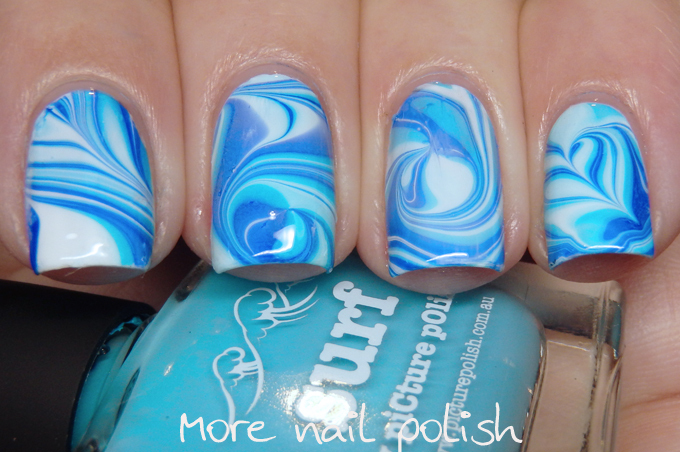 For this marble I used a few new-at-the-time Picture Polish shades, surf and blue (together with bright white). I say new-at-the-time because these were new Picture Polishes collaboration shades back in May, and of course just yesterday Picture Polish released 6 new shades. So I'm gonna have to get myself in order and catch up on those! 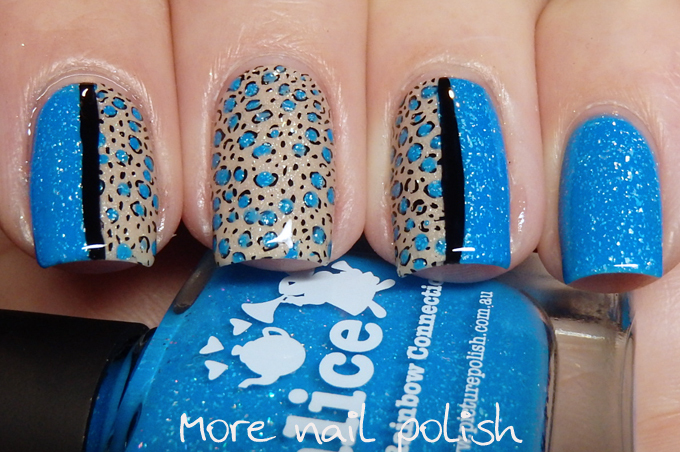 Another thing I've noticed is that Blue day on the 31 Day challenge is mostly Picture Polish day. 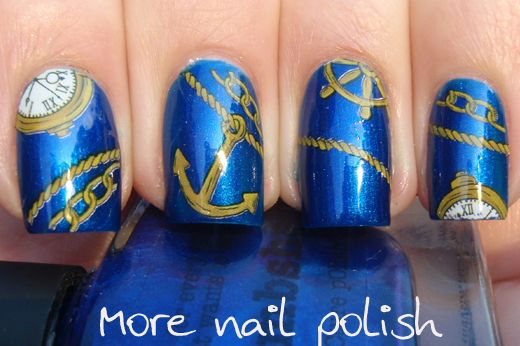 Out of 5 manis, four have been using Picture Polish shades. 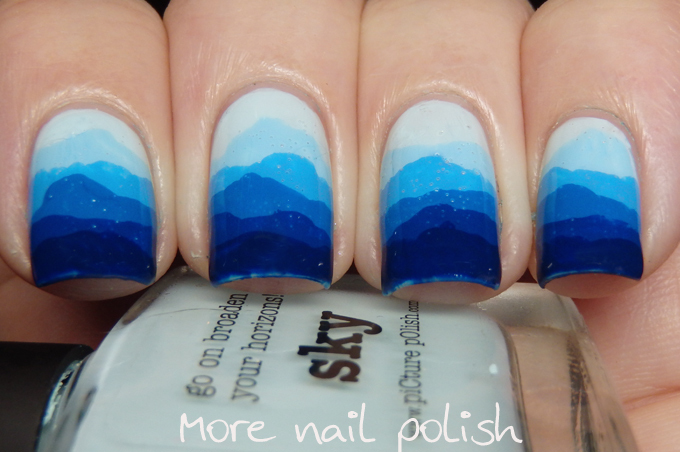 Certainly unplanned, but probably shows that Picture Polish has some pretty amazing blue shades. My Blue nails from 2013, 2014, 2015 and 2016! 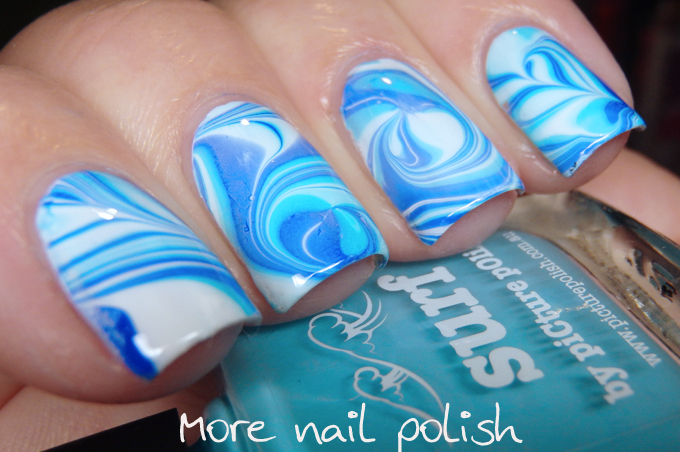 This is such an amazing marble!